I am so excited that my sweet friend, Candise Farmer, of Enough Grace Ministries, said “YES” and wrote a guest blog for Joytime! Have you ever considered a disappointment of your life to be a ministry launching pad? Or perhaps, your astounding talent … could it be the springboard that catapults you into a new spiritual outreach? What about a profound life experience – might it serve as a catalyst that drives you into a fresh work for the Kingdom of God? In 2012, I became an irreversible barren wife, and with that dreaded regret becoming a reality, I entered into a pit of depression, bitterness, and doubt. As a believer and follower of Christ, I knew that my only restoration would be found in my relationship with God. And so, with a broken heart and amidst my crushed dreams, I persisted in spiritually crawling to the Lord for my healing. I wish I could say, “Suddenly one day, all the despair left and I was instantly delivered into a life of contentment.” But that is not the case. It took time – quite a bit of time. But God was faithful. Over the course of several months, He gently used His Word to bring me life again, and with His healing, He called me to write my first book, Green Pastures of a Barren Land. God’s commission was simple, yet profound; I was to share my journey of loss and to extend to others the Biblical principles that He used to save my life. Just this summer, at a student church camp in Dayton, TN, I was challenge by God – via camp pastor Tim Brady – to identify “my spiritual launching pad.” I had never thought about that before. A spiritual launching pad? Could it be that my encounter with infertility, miscarriage, and childlessness was the “starting block” that God had set beneath my spiritual feet of ministry? The more I listened to Bro. Tim’s message, the more I began to realize God’s plan. He had designed my walk through biological barrenness to be a Divine “take-off” for ministering to others. This month marks the second anniversary of the inception of Enough Grace Ministries, a 501c3, non-profit organization that God led me to found. My failed reproductive aspirations have spiritually birthed much more than I ever anticipated. Springing off of my “childless platform” is a passionate team of EGM board members who desire to reach people with the message of hope which can only be found in God’s Word. God has opened doors of ministry that have enabled me to share of His grace that has filled my emptiness of childlessness. Our ministry has been able to serve churches, women’s groups, and student assemblies by presenting, sharing testimony, and facilitating Bible studies across the country. Disappointments in life come with many faces, but God’s Word is the same restoring balm for peace and joy through those times. God has a plan for our lives, and by recognizing our spiritual springboards, we can serve Him and others more effectively. What is your “spiritual launching pad?” Everyone has one! There is a thrill in the “take-off,” and there is a reward with the ride. 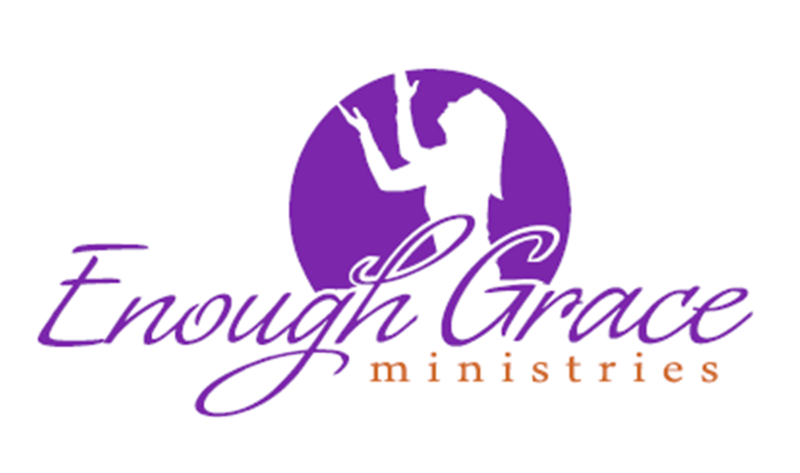 For more information on how to book EGM for your ministry event, please visit www.enoughgraceministries.com.